True story. I mean it. as accurately as I could, since I found it to be so unusual and serendipitous. Weird stuff always happens when you least expect it, right? 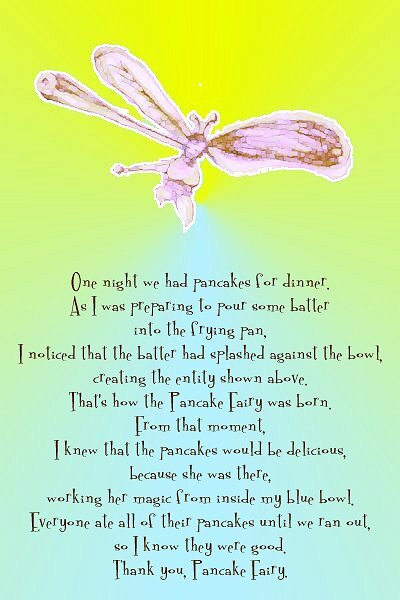 And now without further ado, I give you...The Pancake Fairy.